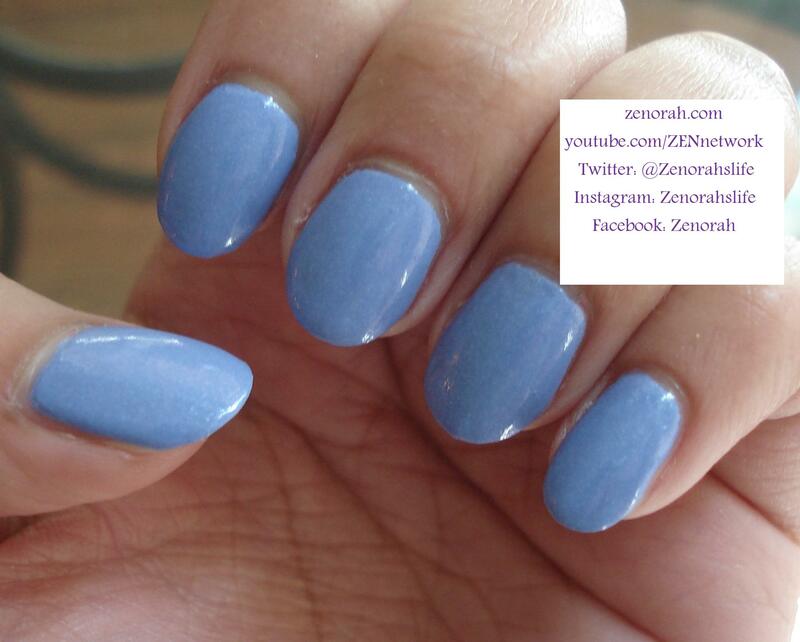 Rainbow Honey ‘Tessie’ – is a GORGEOUS periwinkle purple infused with mirco aqua coloured shimmer. This polish was released in their “The Summer of 199X” collection which is such a cool name for a collection in my opinion! To my surprise I have nothing like this in my collection & you should see my purple nail polish collection it’s massive! 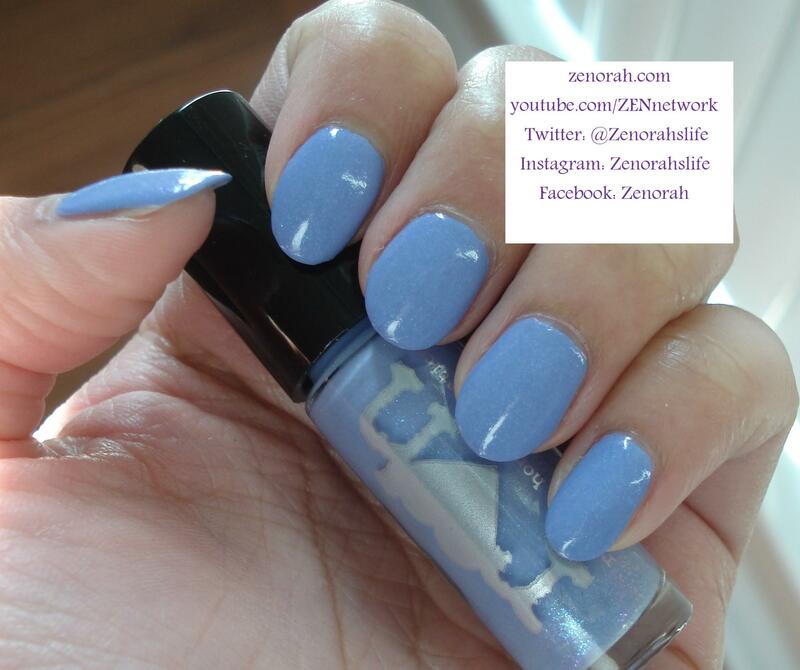 I am absolutely in love with the periwinkle twist and I think it’s the perfect Spring shade! It was opaque on two coats, the application was smooth like butter and the dry time was on average with main stream polishes. I can see this polish complimenting Spring dresses (can you tell I am over Winter? lol) so beautifully! 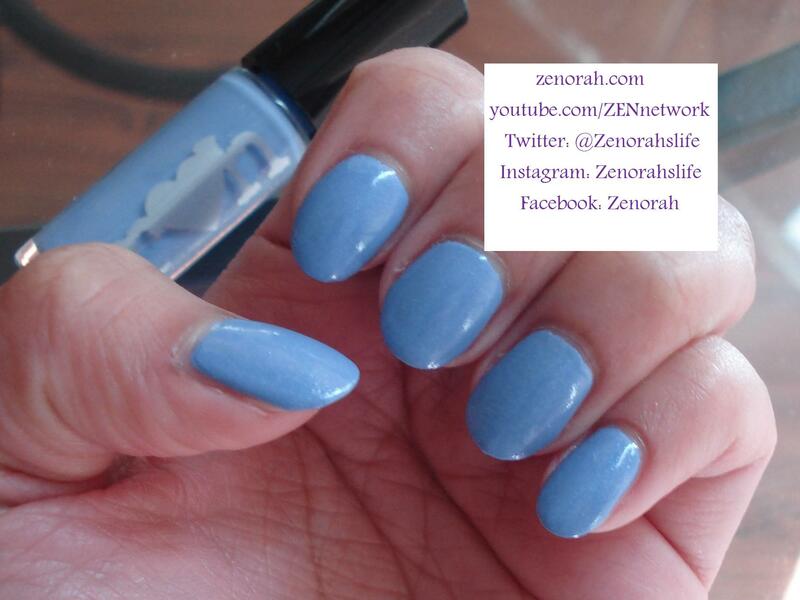 I truly believe if you are a purple or blue polish lover you NEED this one in your life. Pictures can not capture how gorgeous this polish is! I was so in love with this polish but I was so curious what Rainbow Honey ‘Magic Cake’ would look like on top of it! Rainbow Honey ‘Magic Cake’ – is a neon based glitter comprised of neon pink hexagonal & square particles, as well as medium sized neon yellow & smaller blue hexagonal particles infused within a clear based with a sliver shimmer. 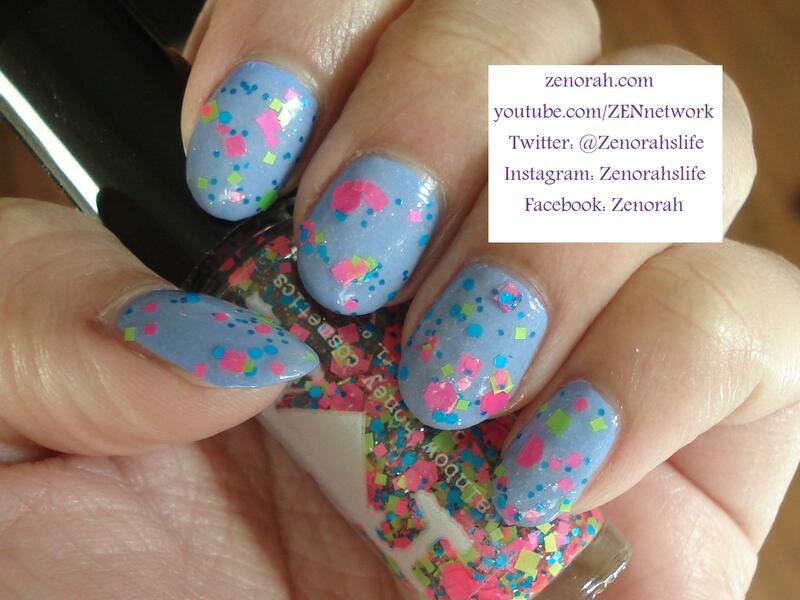 This polish is also part of the “The Summer of 199X” collection & sums up the 90’s perfectly! Growing up as a teenager in the 90’s I can tell you, this polish will always have a special place in my heart – it reminds me of the neon coloured ‘wind breaker’ jackets, neon socks, glow sticks, tights, bracelets you name it! The glitter particles spread evenly on the nail and I did not have to do any manipulating of glitter particles. This is without a top coat as well and you can see the manicure has a slight shine on it’s own! I will definitely be wearing this manicure again soon (you might see it pop up on one of my Youtube videos) and I HIGHLY recommend both polishes. If you are a 90’s child like I am, you 100% NEED this glitter is your life! If you are interested in purchasing this polish, you can use the promo codeILOVENAILBLOGS to recieve $5 off your purchase!! This promo code expires March 31st, 2014! Do you own Rainbow Honey ‘Sweet Talk’ and/or ‘Magic Cake’ ? I love Tessie! It is such a bright and fun spring colour.